These case studies show how organisations have successfully fulfilled their specific requirements after engaging Akhter. They demonstrate better performance & value for money, which in turn increases productivity and reduces costs for the respective organisations. Akhter Computers Ltd supplied 820 Acer Iconia W510P Tablet Computers including a managed service option for the Officer training Academy at Sandhurst (RMAS). The Tablets were issued to cadets to allow them as part of their training access to the Defence Learning Portal. Prior to deployment and as part of the process, Akhter in consultation with the Army developed a “Tablet Image” that contained all the necessary applications that was needed for the cadet training. The MDT image was then deployed to all units prior to deployment. Akhter’s team along with Toshiba developed locked down (Mod CESG compliance) embedded and standalone images for the Laptop’s and WTGO devices. 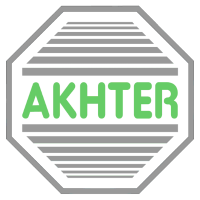 Akhter’s production and customisation department then implemented the solution incorporating image / asset management, Key management services, MDM for device and application support and custom PowerShell scripting as required. The Secretary of State for Defence formally set up the Baha Mousa Public Inquiry as an independent Inquiry under the Inquiries Act 2005. The high profile nature of the Inquiry, its press and TV coverage worldwide and the sensitive nature of the information required throughout the duration of a two year Public Inquiry dictated that a competent full service provider with proven track record in delivering multiple skills quickly, accurately and efficiently was essential to the credibility of the Inquiry. The Gibraltar IT infrastructure consisted of a large number of servers running a mix of NT4 and W2000 server operating systems, approximately 500 workstations running various versions of Windows XP Pro and a variety of office and business critical applications that had become difficult to operate and support within the Mod network. Predominately their messaging and collaboration system was based on Microsoft Exchange 5.5 and there security model had become ineffective. Defence Reserve (Def Res) allocated funding to support an Urgent Operational Requirement to provide a Counter Improvised Explosive Device Information Management and Information Exploitation (C-IED IM/IX) Training Solution to enable pre-deployment training (PDT) for personnel deploying on Op HERRICK. Akhter Computers supplied 1000 Toshiba Ultrabook Z10T Tablet Computers including customized integrated PC security card reader and docking station to the Pennine Care NHS Foundation Trust. The IT Group within the Pennine Care Trust was keen to customize deployments to provide a range of differing business applications for the different departments within the trust. Akhter Computers supplied 300 Acer Iconia W510P Tablet Computers and 1200 Acer Veriton X4620G desktop Computers to the Princess Alexandra Hospital as part of a major system upgrade. As part of the service, Akhter’s project team worked closely with the Hospital’s staff to create base images for the Tablet and Desktop Computers. Prior to deployment, using Akhter’s pre-deployment and production area, all devices were pre- imaged (using Microsoft Windows Imaging Technology) and BIOS asset tagged ready for final on-site configuration and installation using Microsoft System Centre Configuration Manager (SCCM). Bishop Douglass school was awarded specialist Science status and received an outstanding Ofsted report.. The school’s fortunes changed largely due to a policy of empowering teachers and developing a safe environment with quality equipment which is conducive to teaching and learning. As part of integrating IT into the learning process for all students, the network manager was tasked with fitting out six classrooms with PCs for the first time..
Cedars Upper School is a large, vibrant and exciting school with a mission to continue to develop as one of the highest achieving, open, forward looking, creative, supportive, and exciting comprehensive schools in the country. A total solution was required as the suite needed a full refit with desks and wiring and the installation of a full network of PCs, a supplier that would take on the entire project was required. Work on the previous suite had required a lot of senior teachers time to co-ordinate the multiple agencies involved. Akhter has been serving Reading School since 1998. Over the years, it has installed networks in the School and Boarding Houses and has carried out a huge amount of cabling work, including fibre runs and wireless pockets that are sympathetic to the listed buildings’ architecture. Akhter has also installed user friendly network management software and helped to configure Microsoft SharePoint on the network to provide the infrastructure for curriculum delivery. Most recently, it has supplied innovative desks for Reading School’s Learning Resource Centre.